In the past two years, movie star filmmaker and special envoy of the United Nations High Commissioner for Refugees, Angelina Jolie Pitt came forward about her choice to have a preventative double mastectomy after taking a blood test that revealed she carried a mutation in the BRCA1 gene. After this surgery Angelina promised to to follow up with any information that could be useful, and In The New York Times Article Angelina Jolie Pitt: Dairy of a Surgery Angelina explains her choice to undergo a second preventative surgery of the removal of her ovaries and fallopian tubes. Angelina Jolie Pitt’s story is truly inspirational, and due to medical advancements more people are able to take preventative measures to cancer that can be life saving. 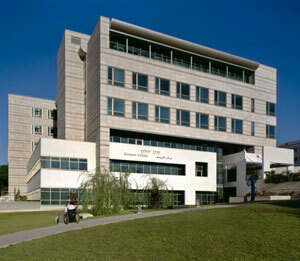 Israel’s Rabin Medical Center is committed to cancer treatment and has a BRCA Gene Multidisciplinary Clinic that specializes in unique early management. The Davidoff Cancer Center, opened in 2005, is the leading oncology center in Israel and the Middle East, treating 130,578 patients last year. It includes six units and clinics and seven impressive departments to provide treatment for various types of cancer and will be expanded to double its size by 2015.